Cute Novelty Aprons Only $4.93 + FREE Shipping! You are here: Home / Great Deals / Amazon Deals / Cute Novelty Aprons Only $4.93 + FREE Shipping! How FUN would these be to give as gifts this Christmas!? 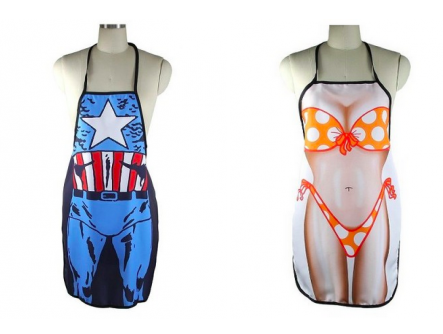 These Cute Novelty Aprons are actually only $4.93 + FREE Shipping! They have both men and women’s aprons to choose from at this price, too!